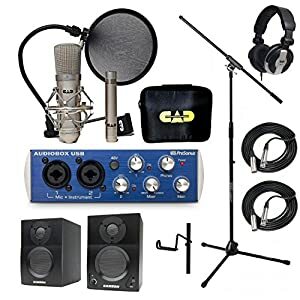 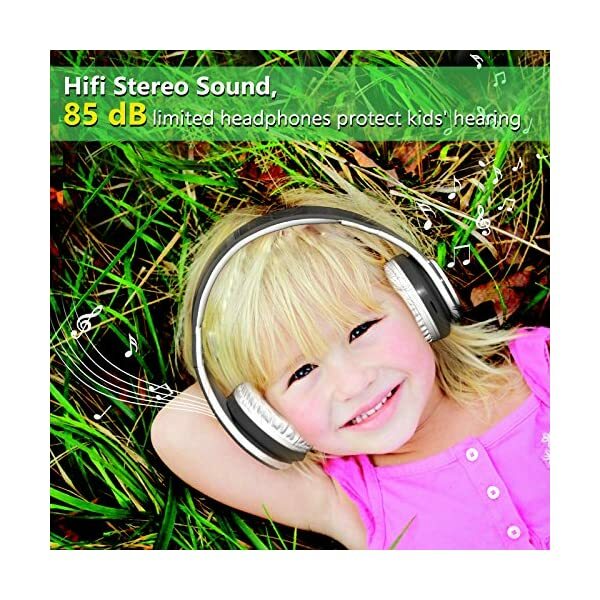 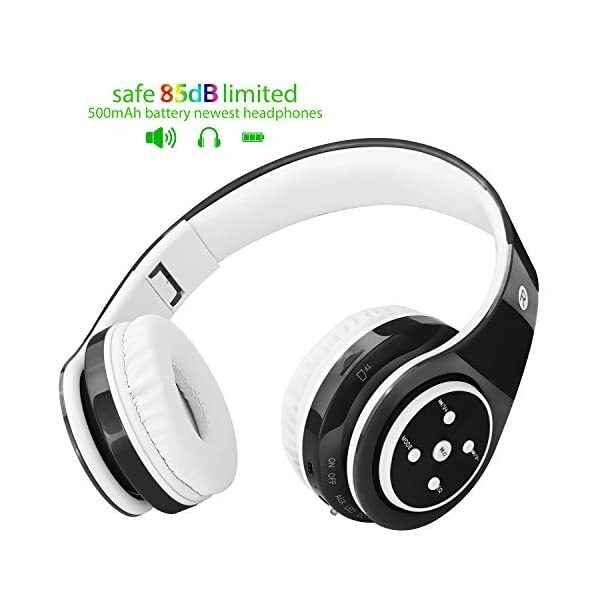 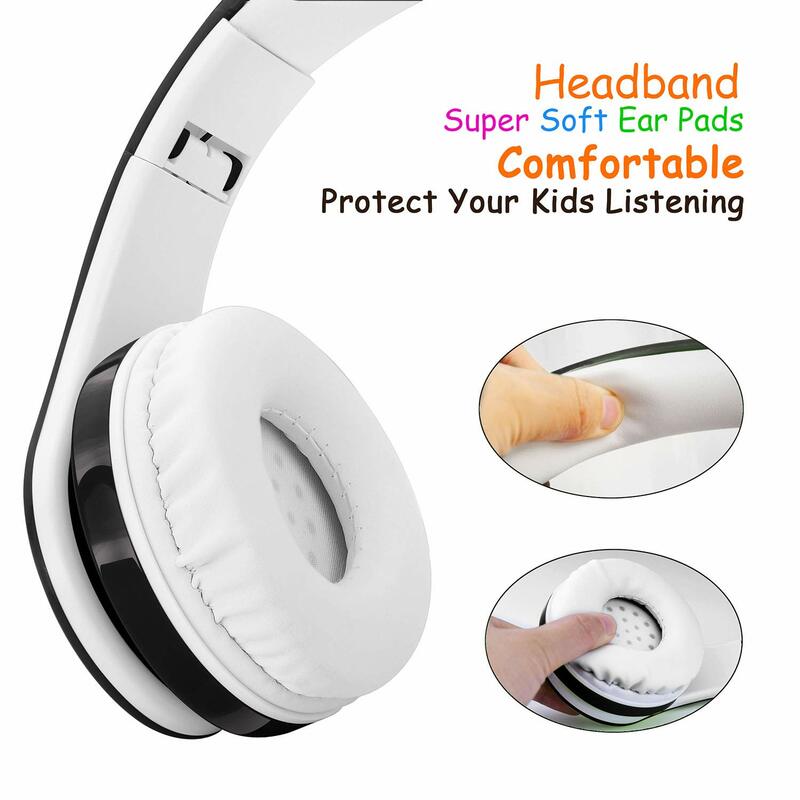 ❥ LIMITED VOLUME 85 db, PROTECT YOUR KIDS LISTENING: the headphones is volume limited maximum 85 dB for kids. 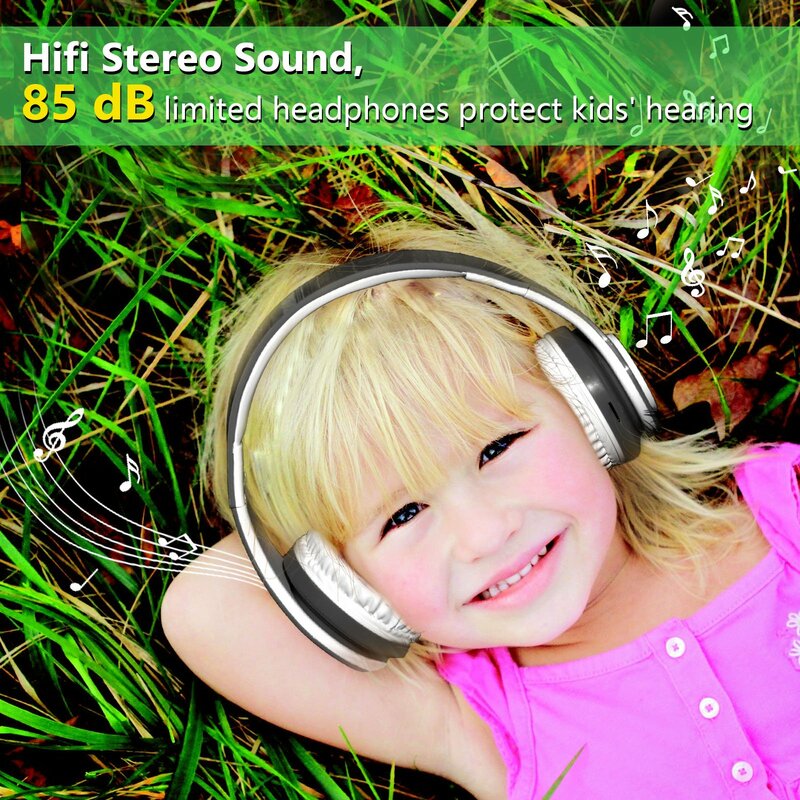 Now all girls and boys can enjoy their favorite content without endangering their hearing. 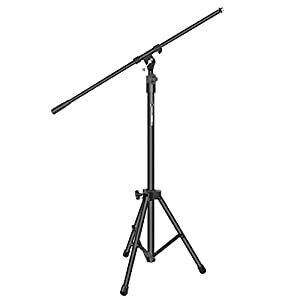 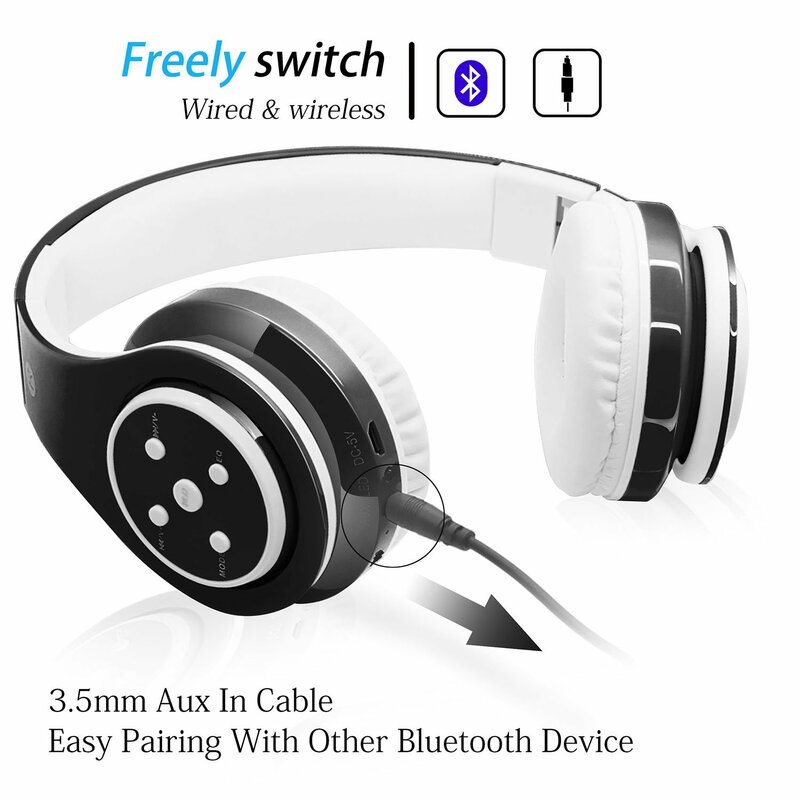 ❥AMAZING MUSIC EXPERIENCE AND 500mAh BATTERY: 40mm dividers with EQ techlogy,produce high quality sound, we improved the battery up to 500mAh, it can last up to 6-8 hours and you can still use it with the audio jack when the battery runs out. 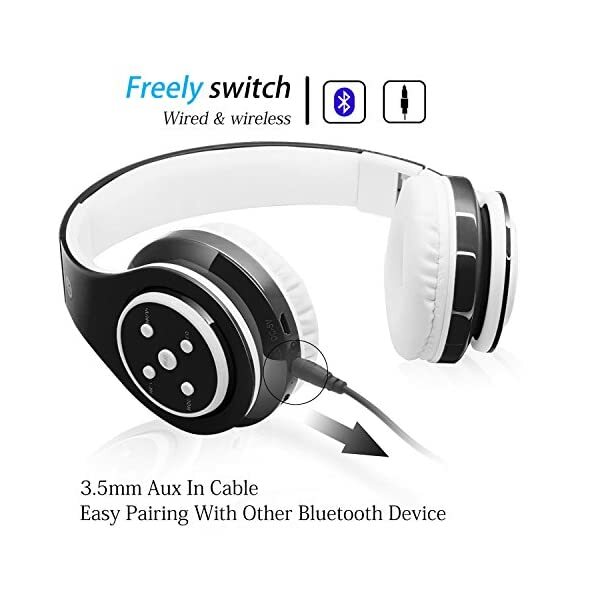 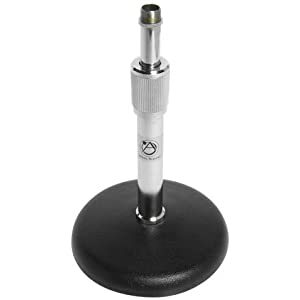 ❥HIGH COMPATIBLE WITH MOST DEVICE: quickly pairing with iphone, android cellphone,tablet, PC and other bluetooth devices. 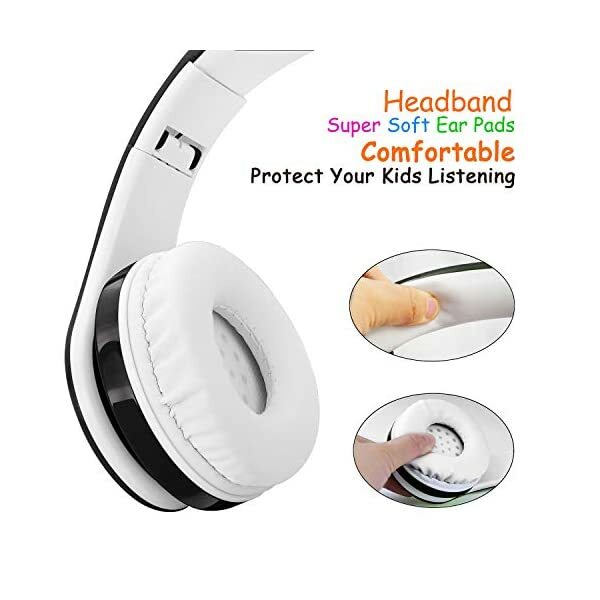 ❥IDEAL GIFT FOR YOUR LOVELY KIDS-charming colour and high quality sound, best gift choice for your toddler,children or grandkids(ages over 3). 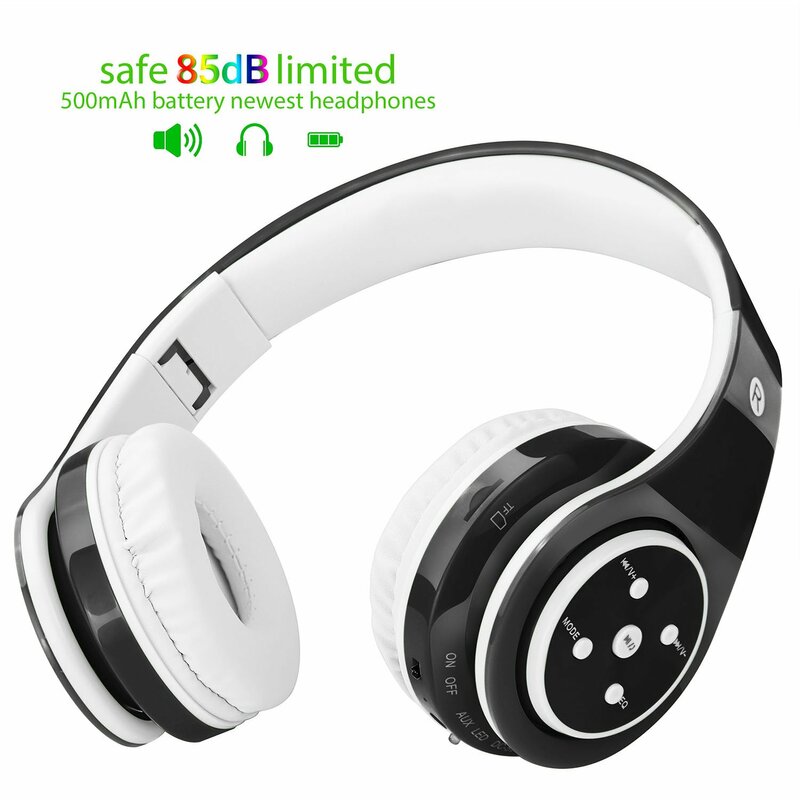 You will enjoy 30 days 100% money back guarantee, 12-month replacement warranty, 28-hour Customer-friendly Suppovice.